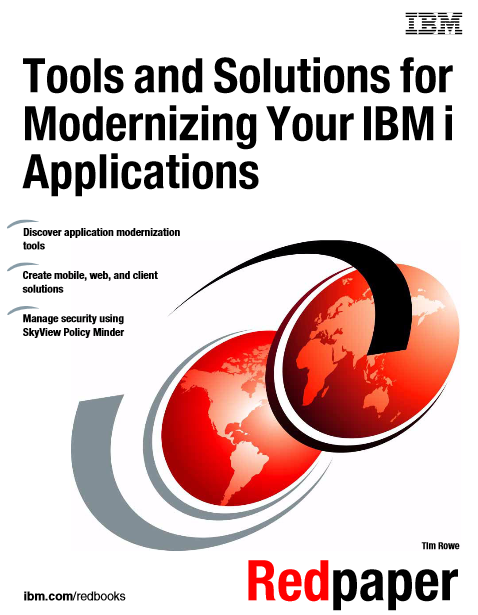 Last year IBM released a great Redpaper with an overview which tools and solutions for modernizing your IBM i Applications are available. In July a refreshed version of this Redpaper was published on the Redbooks page. If you are a RPG or Cobol IBM i developer you really should have a look at this paper to learn what tools are already available to make your users happy with web, client or mobile solutions.